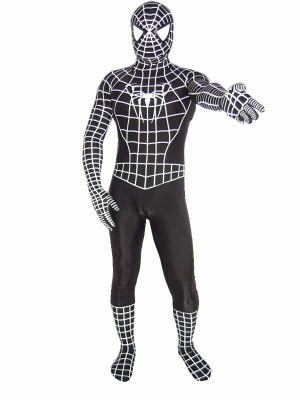 This Black Spider-Man Costume is the costume when spider-man been bond with Venom Symbiote. 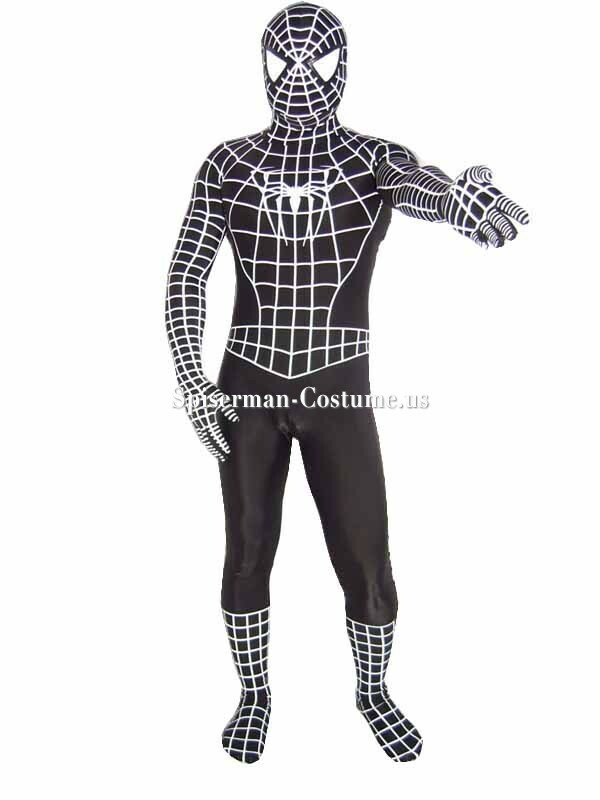 so it also has spider on back and front. the stipe also are contract to inside. zipper from left to right shoulder.